Gov. Greg Abbott, already sitting on a massive war chest for his re-election campaign, is getting some fundraising help from Vice President Mike Pence. Texas Gov. Greg Abbott, already sitting on a massive war chest for his re-election campaign, is getting some fundraising help from Vice President Mike Pence. Pence will headline a fundraiser for Abbott on Nov. 13 in Washington, D.C., according to an invitation obtained by The Texas Tribune. U.S. Sens. John Cornyn and Ted Cruz, R-Texas, are also listed as guests at the event. 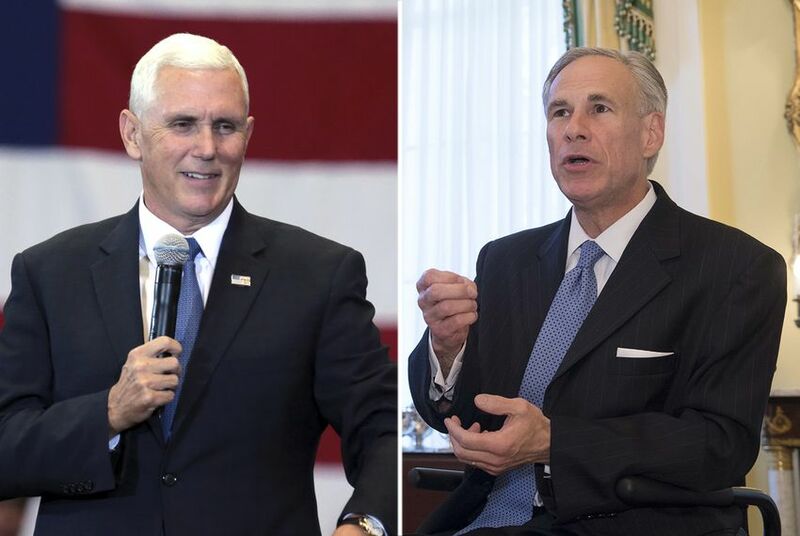 "Governor Abbott is honored and grateful to have the support of Vice President Pence," Abbott spokesman John Wittman said in a statement. Tickets to the fundraiser range from $1,000 per person to $50,000 per couple, which also gets attendees a private dinner with Abbott at the home of C. Boyden Gray, the former U.S. ambassador to the European Union. Up for re-election in 2018, Abbott reported having more than $40 million to spend on the race as of June. He has not yet drawn a serious Democratic opponent. Andrew White, the son of late Gov. Mark White, said earlier this week he was considering a run.